The Campari cocktail is one of the best drinks to feature the distinctive Italian aperitif. It is perfect for serving at dinner parties as a nice primer for the meal. This recipe is very Campari-forward as the aperitif's distinct flavor dominates the drink. Vodka is simply a backup to add volume and a bit of unflavored dilution. The bitters are a nice accent and they should definitely be included to maintain the drink's balance. Campari does have a very particular and somewhat bitter taste that often catches people by surprise. While you may not enjoy the Campari cocktail the first time you taste it, give it another try because it really is fascinating. With a little time and dedication, you can develop a palate for it and this cocktail may even become a new favorite. While Campari and bitters define this popular drink, it is important to choose your vodka wisely. Stick with the top-shelf vodkas that are nice and clean and you will have a great Campari cocktail. If you are new to the taste of Campari, consider reversing the proportions and pour more vodka than Campari at first. As you get used to the taste, slowly switch them back to the original proportions in the recipe. You'll notice that the Campari cocktail is an incredibly small drink that shakes up to just over 2 ounces. It isn't the type of drink most people will want to drink for an extended period of time. This is largely due to the taste and its purpose as an aperitif, which is to stimulate the digestive system before eating. Citrus vodka pairs well with Campari. You might like how it softens the bitter profile and it would make a good substitute for clear vodka. You can also add other citrus elements—particularly orange—to this drink. 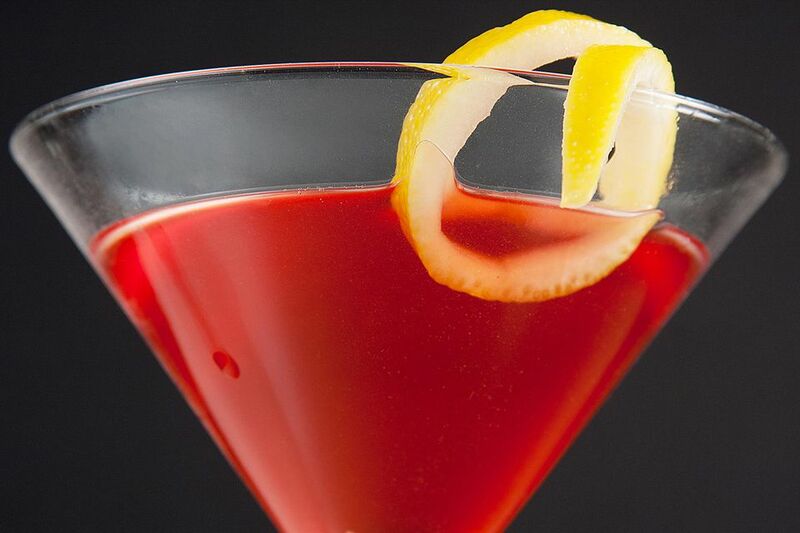 For instance, the Campari cosmo pairs citrus vodka, orange juice, and triple sec with Campari to create a lovely drink. Instead of Angostura aromatic bitters, give an orange bitters a try. Angostura also makes that flavor, though there are others that will work just as well. Regans' Orange Bitters No. 6 is an excellent option and you can find orange bitters from Fee Brothers, Scrappy's, and The Bitter Truth. If you'd like to serve this drink a little taller, strain it over ice in an old-fashioned glass and add a splash of club soda. You could even pour as much as 3 ounces of soda and end up with a drink similar to the Americano. How Strong Is a Campari Cocktail? The Campari cocktail is a very strong drink, which is another good reason to keep it short. When made with an 80-proof vodka, it will have an alcohol content around 24 percent ABV (48 proof), so it's just a little lighter than a vodka martini.